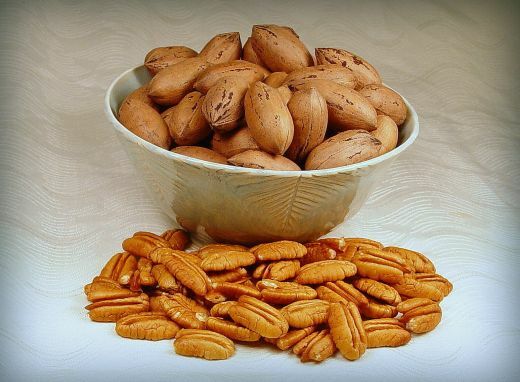 The Avalon Pecan is being released as a scab resistant cultivar for planting throughout the southeastern pecan belt. It has shown very strong resistance to pecan scab. Avalon is late to break bed in the spring which indicates some measure of frost avoidance if planted in the northern part of Georgia. The harvest date put it in the early mid-season harvest period. Avalon has medium susceptibility to black pecan aphid which may require some sprays in some years. Nut size (46 nuts/lb) and percent kernel (53.7%) fall within the range needed for optimum prices in the current market. Ther is currently no other highly scar resistant that has the size and quality of Avalon, except for the recent UGA releases 'Huffman', 'Tanner', and 'Whiddon'. Nut shells have moderate shell striping which extends form the apex to the equator. But shape is oblong with a cuspidate base and an acute, grooved apex.